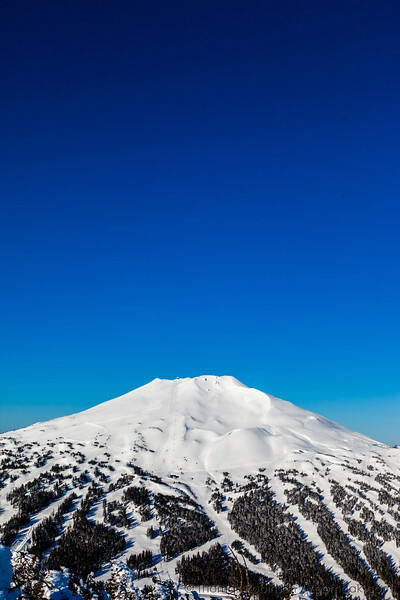 A vertical view of Mt. Bachelor as seen from Tumalo Mountain. A photo showing winter in Central Oregon.